Right now there are 7 billion people on the planet and that number keeps growing. To support that many people, the planet's natural resources have been stretched to capacity. Now add 3 billion more people to that total and you have a picture of what the future holds. By 2050 there could be a total of 10 billion people on the planet - that's a lot of people and a massive amount of resources. Keeping 10 billion people alive on the planet could require an astonishing three Earth's worth of resources to supply enough water, energy and food necessary for survival. 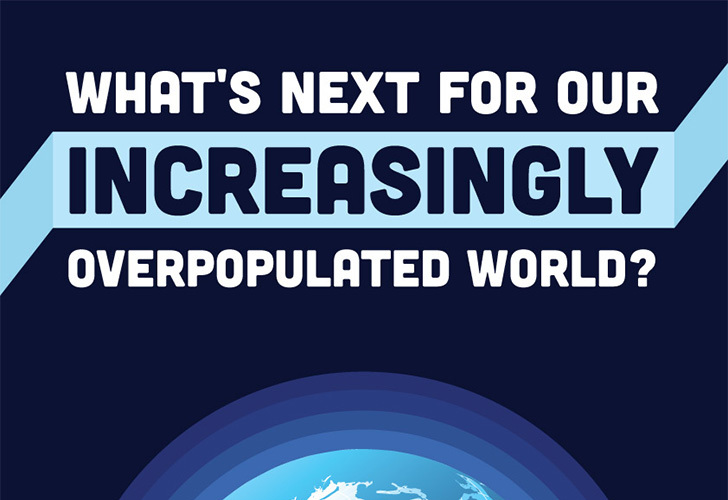 So what does the future hold for an overpopulated world? Norwich University explains it all with this fascinating infographic.